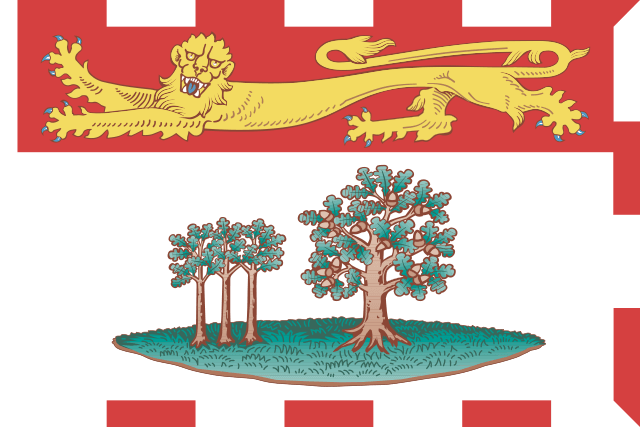 Prince Edward Island is the smallest province in Canada, and it consists of one major island and 231 smaller land masses. The region boasts several forms of legal gambling and a respectable average yearly income, although it also has one of the lowest gambling rates across Canada. While the province isn’t blazing new trails in the world of gambling, it still offers more opportunities than the average U.S. state. Gaming in the region is managed on behalf of the province by the Prince Edward Island Lotteries Commission. This three-person governing body is responsible for organization and conduct of the various gambling options on the island, and it’s been doing so since its creation under the Lotteries Commission Act of 1976. The Atlantic Lottery Corporation was also incorporated in 1976, and its inclusion was made possible by the passage of the Canada Business Corporations Act. This entity is co-owned by all four Atlantic provinces (PEI, Nova Scotia, New Brunswick, and Newfoundland and Labrador), and they take care of the day-to-day operations of harness racing, gaming, and the lottery. The Atlantic Lottery Corporation runs a service known as Pro-Line for the express purpose of offering legal sports gambling to the residents of Prince Edward Island (and the other participating Atlantic provinces). Customers may demonstrate their handicapping abilities on the official website, or they can visit a licensed retailer such as a gas station or convenience store. In order to take part, a player must be at least 19 years old. Since Canadian law prohibits wagers on a single sporting event, Pro-Line also requires its customers to make parlay bets on at least two sporting events. While wins of this sort pay more than single wagers, the odds of successfully picking multiple victors makes the entire process more challenging. One of the biggest complaints generated by Pro-Line and similar operations across the nation is the less-than-generous odds. While online sportsbooks are constantly delivering better odds to beat their competition, the Pro-Line monopoly allows them to offer inferior odds without fear of being overtaken by a competitor (which is part of the reason why monopolies are frowned on in the first place). • Pro-Line Futures – The player attempts to choose the future winner of a championship or league, with wagers running from $2 to $100. • Pro-Line – The player chooses the winner in two to eight games, and each bet can be from $2 to $25. Available sports include baseball, hockey, soccer, college and pro football, and college and pro basketball. • Pro-Line Fantasy – This parlay bet can be used to combine anywhere from two to five proposition wagers for teams or players. Individual wagers can range from $2 to $25, and potential winnings increase with the size of the bet. • Stadium Bets – This online option allows wagers ranging from $2 to $250, and players can choose from two to eight event parlays. These selections can be made in three different styles, including point spreads, point totals, and moneylines. • Pro-Line Stadium Picks – If you play online, you can participate in this game by picking all the winners for a series of games. Each successful choice gains you a specific number of points, and your overall total is kept track of on the website’s leaderboard. After a certain period of time, the players with the highest score are eligible for various prizes. While the province hasn’t openly embraced online sports gambling, residents of the island can still take part without fear of legal prosecution. A wide range of Internet books offer their services to resident of the nation, with the Canadian dollar and French language commonly supported. Residents of Prince Edward Island enjoy swimming and water sports, but this passion hasn’t led the province to host any major league sports teams. Semi-pro and amateur clubs are the best available options in the region, although you won’t be able to find betting lines for these events. The most popular forms of sport on the island include hockey, rugby, soccer, basketball, curling, and golf. Even though the teams may not be of the highest quality in the nation, they still provide gamblers with an additional betting option (assuming they can find a friend willing to accept their wagers). Because of its small size, Prince Edward Island is home to just one university. For readers who enjoy betting on the collegiate sports, this is your only option within the province. The school is known as the University of Prince Edward Island, and it’s located in the capital city of Charlottetown. The men’s and women’s athletic teams are known as the Panthers, and they compete in the Atlantic University Sports conference of the Canadian Interuniversity Sport. Their varsity teams include the following: hockey, rugby, soccer, swimming, field hockey, basketball, and cross country. Prince Edward Island is the smallest of the Canadian provinces, but residents still have access to a number of gambling options. Racetracks and video lottery terminals are present in the region, as well as charitable gaming and sports betting. While the odds on the latter aren’t player-friendly, this fact is offset by the convenience of making picks online or at the local gas station. Online gambling also provides an additional option, which is frequently used by those who are serious about the hobby of sports betting.